Lisson Gallery supports aid efforts in Puerto Rico, which has been devastated by Hurricane Maria. On the brink of a humanitarian crisis, the region needs immediate and long-term help. The gallery, along with the artists Jennifer Allora & Guillermo Calzadilla who live and work on the island, encourage all who are able to donate to visit mariafund.org. Puerto Rico's most vulnerable communities are likely to face the longest road to recovery. 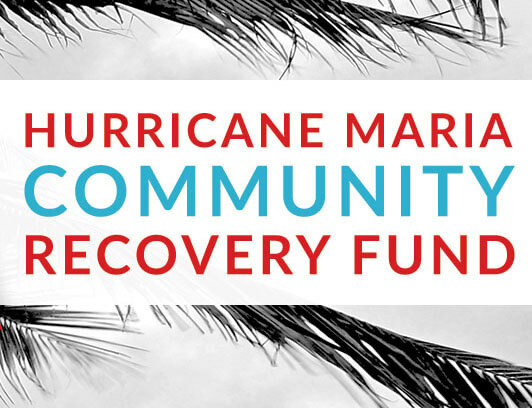 One hundred percent of the money raised by the Hurricane Maria Community Relief & Recovery Fund will be used to support immediate relief, recovery and equitable rebuilding in Puerto Rico for the areas hit hardest by the storm. The Fund is governed by organizations like Puerto Rico-based Taller Salud, the G8 of Caño Martín Peña, and other local, grassroots organizations. For more worthwhile organizations working on the ground, please click here.